Are you worried about knowing if you’re ready to take on a capital campaign? Join us as Jane DiGirolamo shares helpful tips on conducting feasibility studies and deciding if your shop is campaign ready! 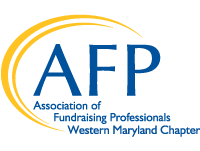 Jane is a partner at Partners in Mission where she consults with schools across the country about fundraising initiatives and capital campaigns. Before joining Partners in Mission, Jane served as the Chief Advancement Officer of Our Lady of Good Counsel High School where she managed a team of seven and led the school to its largest capital campaign for $10 million to build a performing arts center. During her tenure, more than $19 million was raised for the school. Join us as Jane shares feasibility studies and her own experiences in campaign readiness.